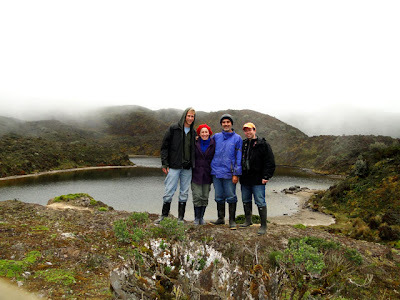 After a quick lunch we departed from Yanacocha and descended through the old Nono-Mindo road. We stopped at Nono for some sweet corn, fresh cheese and faba beans. This typical Andean food tastes best near small towns where the produce is fresh and sometimes organic. This road was constructed many years ago to provide access to the Mindo area. There are historical records that indicate that this road was constructed following existing trails that were used by the indigenous people of the area called the Yumbos. These trails were also used by the invading Incas in search of local tribes to conquer; later the spanish used these same trails to search for the hidden Inca treasure and later to gain access to the western forest and beaches in Esmeraldas where there were stories that large emeralds had been found. This amazing road drops from 3300 meters down to 1800 meters and presents some amazing opportunities to see a wide range of birds from the comfort of the car. Since this is a public road one must always be careful of aproaching traffic. This historical road is very picturesque and provides an interesting apreciation of how the andean slopes which have been deforested for many years give way to a small piece of untouched primary forests on the western slopes. This area still has primary forest due to the ruggeness of the terrain; the steep walls have trees with roots like cat-claws that allows them to stay erect on the almost vertical walls. 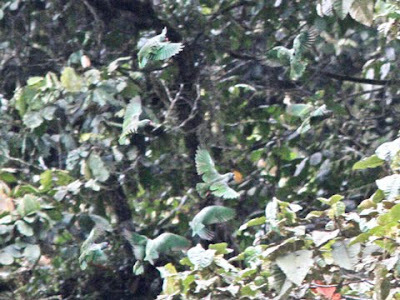 This area has also become prime ground for sprouting private reserves in an effort to find a way to keep these forest preserved. 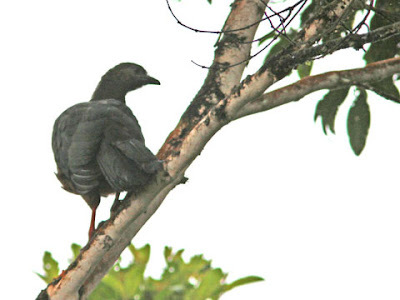 We found other birds like the Andean Guan - Penelope montagnii and the Red-billed Parrot - Pionus sordidus. 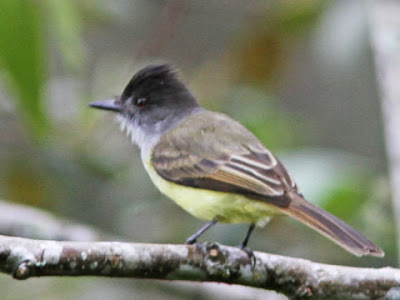 Another spot near the town of Tandayapa produced a nice mixed flock and took some good picutres of the Dusky-capped Flycatcher, Red-headed Barber, Squirrel Cuckoo, Streak-necked Flycatcher, and a large flock of Red-billed-Parrots. 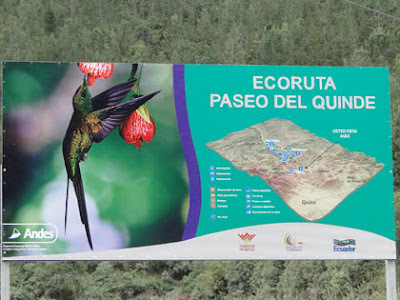 The Ecoruta, also known as the Paseo del Quinde, is a road that always brings out great variety of birds as one travels through its windy road descending though the western slope. 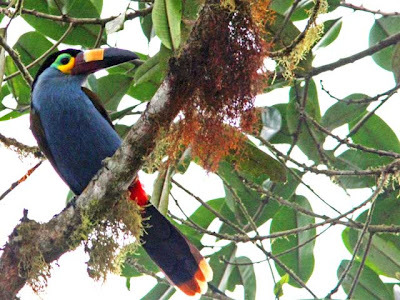 "What makes Ecuador one of the best countries for birdwatching in the world, bar none? Obviously, the highest species diversity per square mile doesn’t hurt. 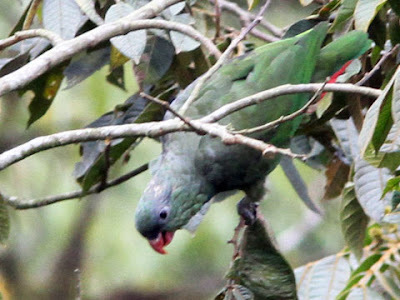 But Ecuador goes above and beyond in the service of sensational wildlife watching. 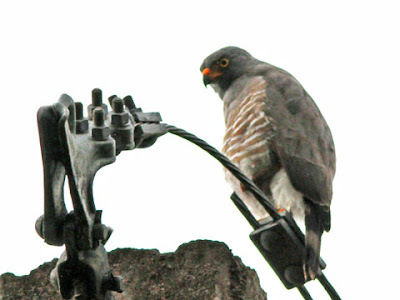 How many countries do you know that have a road dedicated to birding?" 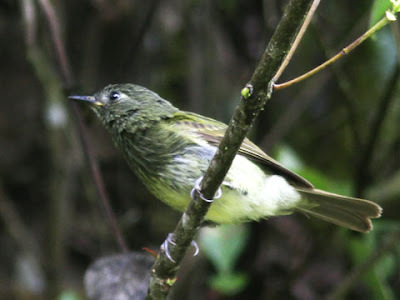 On this first day of birding we were bombarded from the highlands to the sub-tropical forest and survived for an evening rest at our ecolodge inside the Puluahua Volcano. 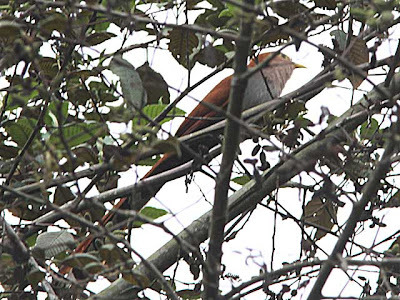 On our most recent birding tour we had four days to cover the eastern and western slopes of northern Ecuador. 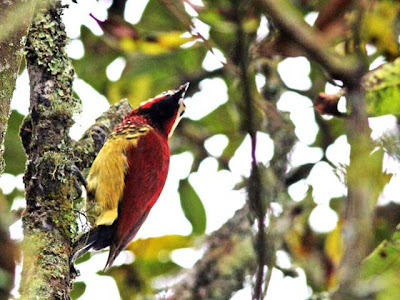 This was an overwhelming birding experience with little rest and lots of birding adrenaline that made a long list of birds and a long-lasting memory. Here is a memorable picture at Papallacta Pass. Our two visitors: Mike Bergin from http://www.10000birds.com/ and David Ringer http://djringer.com/birding where tireless and had such keen eyes that we racked up a list of 200 species in just four mad days. Our starting line began at Yanacocha Reserve at 3200 meters above sea level, on the western slopes of the Andes just north-west of Quito. 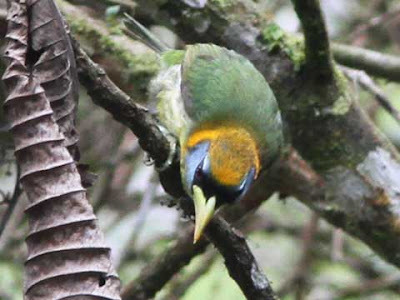 The amazing collection of birds at this reserve pumped their adrenaline to a level that the lack of oxygen and cold temperatures did not seem to affect Mike´s or Dave´s physical stamina. 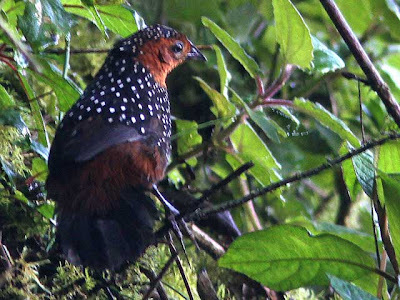 The highest level of adrenaline was reached when we surprised the Ocelleated Tapaculo out on the open! Look at those amazing claws! 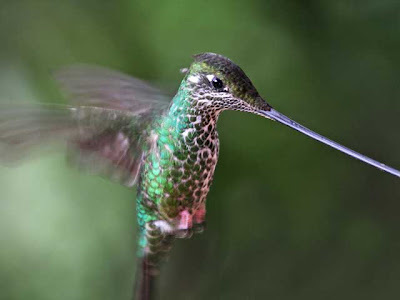 The Sword-billed humming bird was the next star that heated up our cold feet! 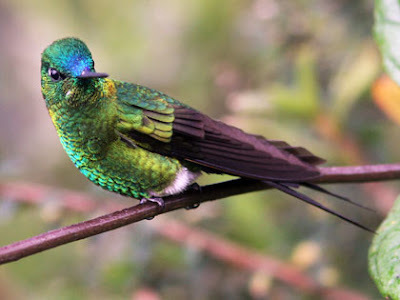 The flashy Saphire-vented Puffleg warmed our heart! 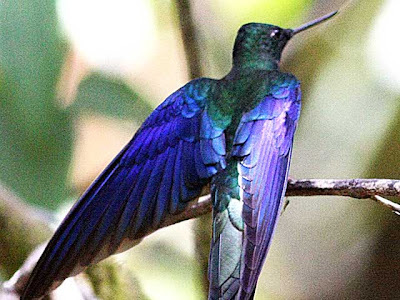 The angelical wings of the Great Sapphirewing lifted our spirit! 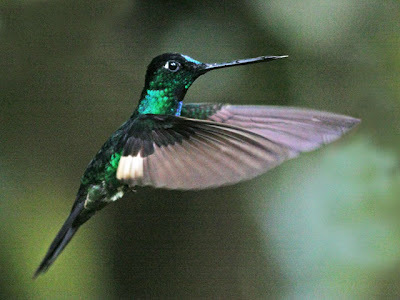 The hidden colors of the Buff-winged Starfrontlet blinded us with joy. Yanacocha pumped us full of adrenaline, warmed up our cold feet, warmed up our heart, lifted our spirit, and blinded us with joy; putting us one step closer to heaven at 3700 meters from sea level near the top of the Andes.